Can you believe it has been FOUR YEARS since Smells Like Brownies was born? Four years of delicious treats and meals (and some disasters), four years of learning to take food photos and learning new tricks in the kitchen. Time flies. Now, as many of you may know, I am eagerly awaiting the arrival of our little daughter! As I am waddling around after my 2-year-old ball of energy, praying that the baby will stop kicking me in the kidneys, I have started to picture what life may look like with an infant in our lives. I remember life after Jake arrived with some trepidation. It was wonderful and scary at the same time, and it totally turned my world upside down. There was no such thing as “getting ready in the morning,” because time all blurred together into one enormously long day in which every two hours I had to feed a baby, regardless of silly things like my own sleep rhythms. So…here we go again! But, of course, now I have a toddler who expects me to maintain his regular schedule and probably won’t think it’s cute if I delay his breakfast until noon. 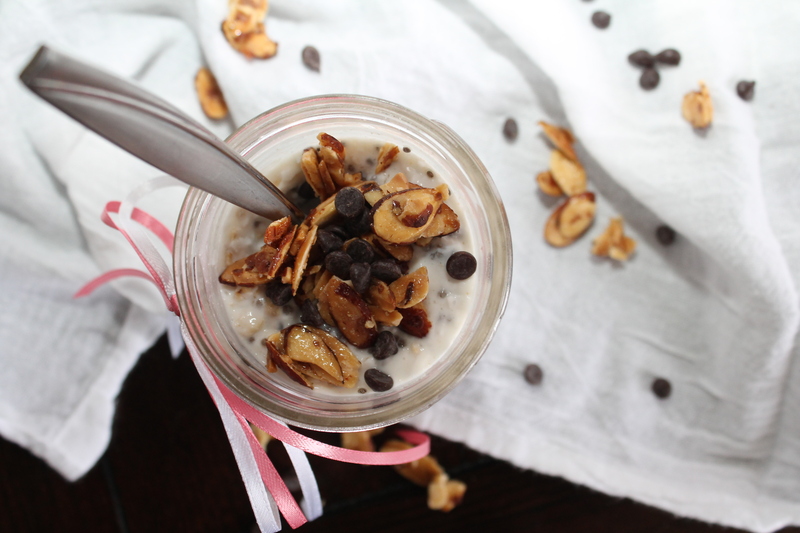 I am fairly confident that overnight oats are going to save my life after this baby comes. Not only are they super healthy (whole grains! raw food! protein! omega-3s! ), but after what are sure to be some tired, sleep-deprived nights, I will be able to “make breakfast” simply by opening a container! What could be better? It’s almost St. Patrick’s Day! So I made you colcannon. Normally, I am not a huge fan of potatoes, but I definitely must make an exception for colcannon. This was incredibly easy to make, and with the addition of leafy greens I actually felt like I was giving my body something nutritious along with all that starch and butter. Mmmm. Apparently I unwittingly made a more “traditional” version of colcannon (which is one of the many Irish variations on mashed potatoes) when I decided that kale was a better choice than cabbage. At least, that’s what Darina Allen tells me. I had never seen colcannon with anything other than green cabbage mixed in, but when I stumbled across a recipe that used kale, I knew it was the one for me. 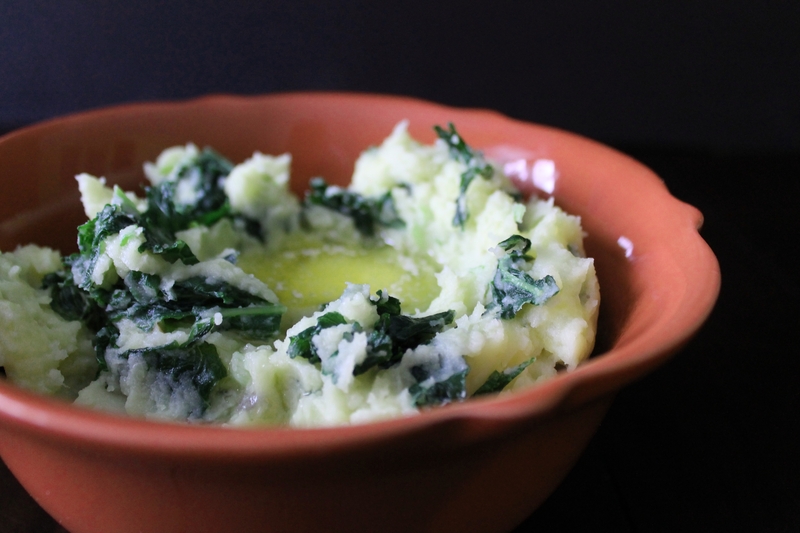 Later, after gobbling down a huge mountain of buttery mashed potatoes speckled with dark green kale, I looked up colcannon in my Irish cooking bible and discovered that I had not, as I feared, completely abandoned the spirit of the Irish dish. So. Happy St. Patty’s day! Make some potatoes. Make them with kale. Your mouth and your stomach will thank you. Shepherd’s pie is a classic ground meat dish. It’s as meat and potatoes as you can get. But thank goodness for the Moosewood Restaurant in New York, where Mollie Katzen dreamed up a way to make a delicious meatless version! 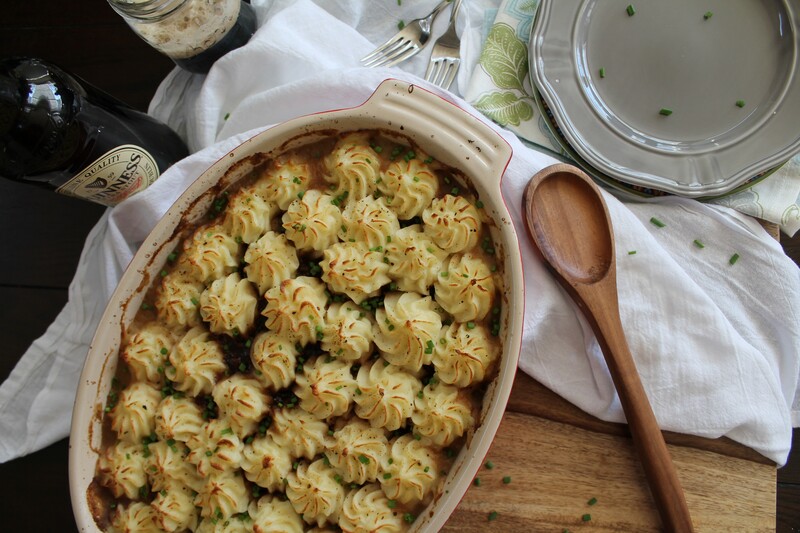 I actually think this veggie-friendly shepherd’s pie does a great job of mimicking its meatier friend by using shredded tofu, mushrooms, and soy sauce to build umami beneath a delightful layer of mashed potatoes. So it’s not quite a pie. Let’s celebrate Pi Day anyway! This past weekend, my nephew came to stay with us. He is just 3 weeks younger than Jake, so they have been lifelong buddies! Actually, they are about as different as can be: Jake loves animals and M is crazy about vehicles; M is a quiet daredevil and Jake is cautious but loquacious. And my nephew is deathly allergic to dairy. So I had just finished scrubbing the kitchen and hiding all the cheese when I realized that I hadn’t yet baked anything for the March Secret Recipe Club challenge! Happily, Jessie of The Vanderbilt Wife had just the recipe for me to try: sweet breakfast rolls made with coconut! 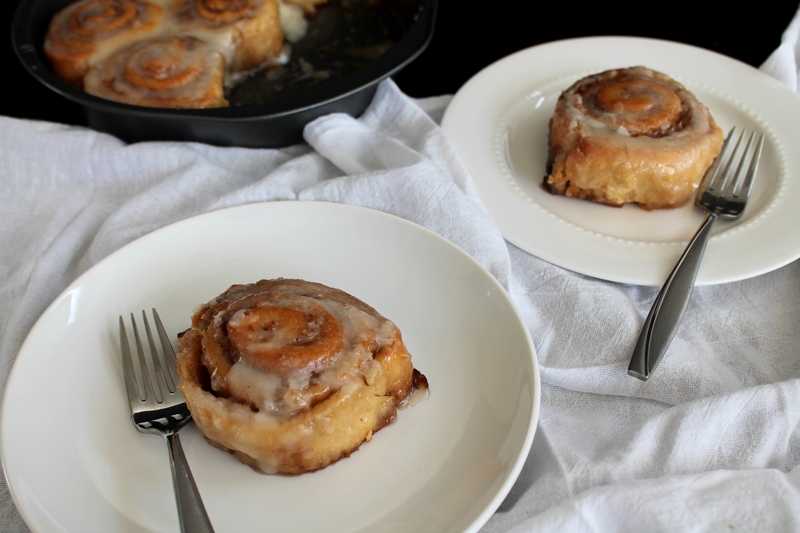 This recipe is even related to my very favorite cinnamon bun recipe, so I knew it would be a winner. Given that I had been in a panic about how to serve breakfast without any milk or butter already, I was so happy that these rolls swept in and saved the day! For the last several weeks, we have been scraping by in our house with random odds and ends and leftovers. I have taken to looking into my fridge around 6:00 and hurriedly cobbling together something for dinner…or else calling Dominos. As I am now well into my third trimester with a toddler who seems to grow in energy and volume every day (not to mention the fact that we are potty training and this basically means I spend my entire life chasing him around and trying to sit him on the toilet), I think this is a totally acceptable status. I am just not that excited about foods that require actual planning ahead, things that follow recipes and can be photographed. And even though I have a bunch of recipes stored up to share with you, things cooked during random spurts of energy and culinary creativity, I am just having such a hard time sitting down in front of my computer to write about them. My enthusiasm for naps and decorating the nursery just outweighs my enthusiasm for food right now. 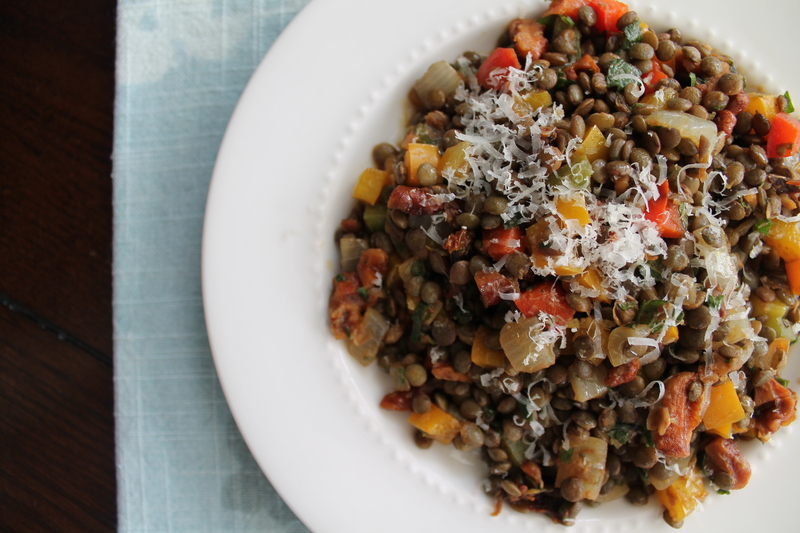 Thankfully, Sarah of Well Dined came to my rescue recently with this amazing lentil salad! She suggested a day and a time and then graciously bought all of the ingredients that weren’t already in my pantry and showed up at my house to cook. Thank God for friends! This salad is yummy! And healthy. (It totally counteracts all that ice cream I have been eating.) And the best part? 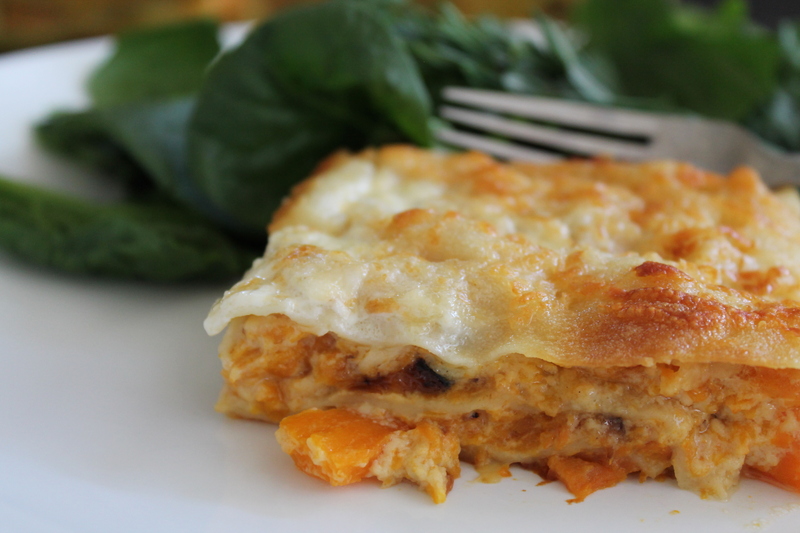 It makes absolutely a ton of food, so you won’t have to cook for at least two more days!